The neshoma yeseira comes down on Shabbos to open minds of people and make them understand the Torah topics that stumped them all week. "I am sorry I couldn't make it to minyan yesterday, my yetzer hara got the best and told me to stay inside where it was warm and dry", Yosef explained. Hearing this, the rabbi responded, "Yosef, don't you understand that the same G-d who tells you to come to minyan is the same G-d who makes it rain?" Rav Ada bar Ahavah's students asked, "In what merit did you receive a long life?" He answered, "I was never upset and overly strict in my home." Message in a Dream or Coincidence? Feeling exhausted from the onset of cold, I went to bed early on Erev Shabbos. On Shabbos morning, I woke up early and learned the halacha in Kitzur Shulchan Aruch 192:1 that states, "If a person has a headache he should view it as if he were put in chains. If he becomes ill and confined to his bed, he should view it as if he were placed onto a scaffold for trial. Anyone who is placed onto the scaffold for trial, if he has great advocates, may be saved. But if he has none, he cannot be saved." My constant hacking cough persisted through Shabbos and left me feeling extremely weak by Sunday evening. On Sunday night, I had a dream in which I was walking through a non-Jewish neighborhood. As I made my way down the streets, I noticed a group of men following me. I tried to evade them, but eventually they caught up with me and confronted me, "Who do you think you are to wear that thing on your head in this neighborhood? ", they asked. I explained to them that my yarmulke was not worn as a brazen display to offend them, rather it was something that I, as a Jew, wore to display my allegiance to God. Not caring for my answer, the men quickly found a rope to place around my neck. 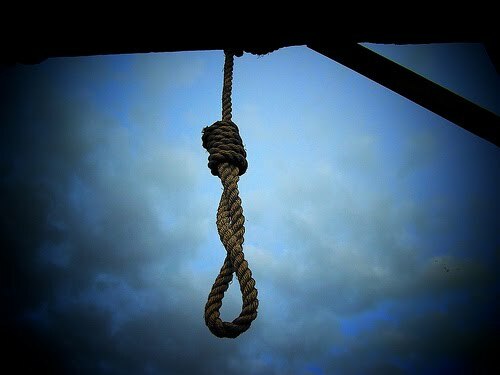 They hoisted me up over their shoulders and went looking for beam in which to tie the other end of the rope to. ....and then I woke up. 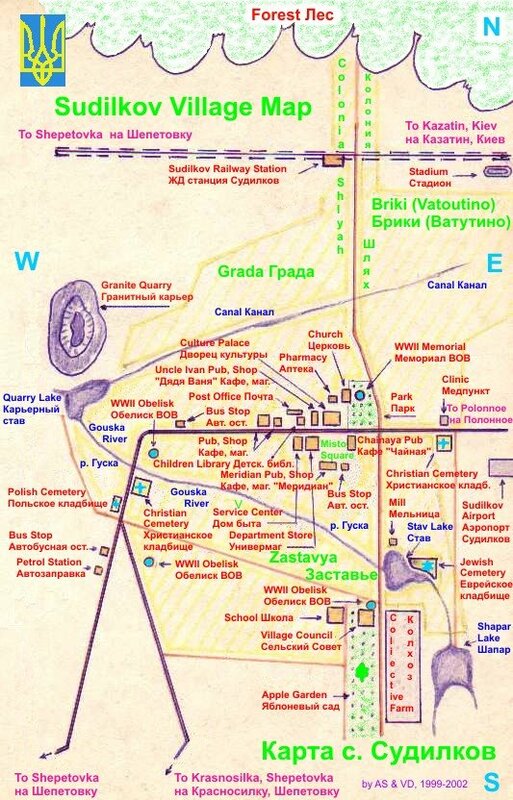 A few hours later, I sat down with my seforim and continued my slow-pace learning of Tanya. I was given pause when I came across a teaching in Chapter 6 that dealt with the capacity of every Jew for surrendering himself before G-d, through martyrdom for the sanctification of G-d's name. Although I could not decipher what the message was for me, it certainly seemed that there was a connection between the timing of my learning these teachings in Kitzur Shulchan Aruch and Tanya and that of my dream. I know that the skeptic will claim that all of this is merely a coincidence. However, the word "coincidence" is not a word that is in my vocabulary. 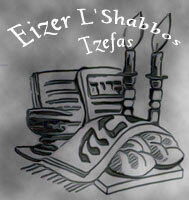 "Let Shabbos be your Rebbe." 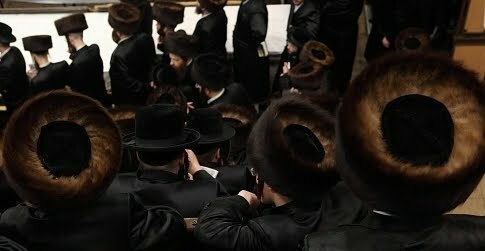 The Chidushei HaRim compared the Shabbos to a chassidic rebbe. 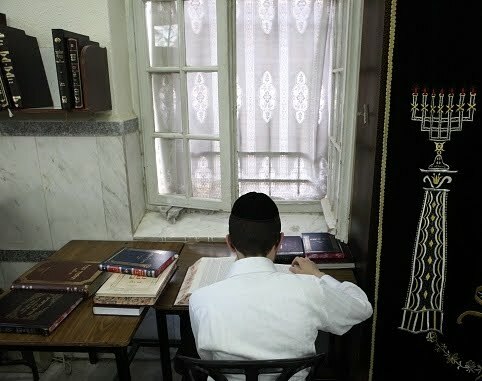 A chassidic rebbe's study is guarded by a gabbai who selects the people who are allowed to come in to see the rebbe. The same is true with Shabbos. Not everyone is admitted to partake of the kedusha of Shabbos. So what should you do? 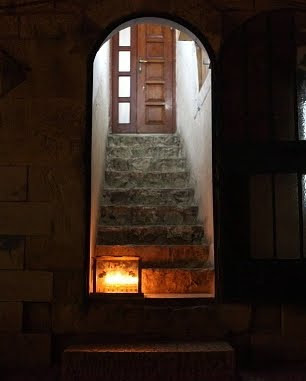 You should stand at the door and pray for the door of kedusha of Shabbos to open. A chassid once asked the Sanzer Rebbe, "How should I conduct myself when I am on the road, far away from the Rebbe?" "Let the Gemara be your rav, and let Shabbos be your rebbe," replied the Rebbe. 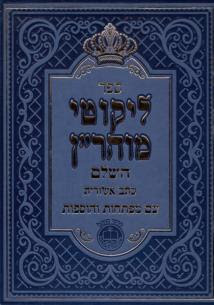 The rav answers halachic questions, and the rebbe, the holy Shabbos day, gives advice and chizul on spiritual matters. This site is a real "first," in that it makes a wide range of Breslov publications available online from a Breslov bookseller who knows every item in his catalog and can answer any questions the customer may have. Rabbi Rosen is a respected member of the Breslov community, who recently retired from teaching in a local yeshivah. (If you are ever in Monsey, he also would be an interesting person to meet, especially since he knew many of the now-legendary figures in the Breslov world, both in America and in Eretz Yisrael.) We wish him great success in his new venture. "Gentlemen, of dear! I see you did not eat the bird. Lyndon arranged for a special shoot this morning so that it would be fresh." "Our friends observe kosher," remarked the Secretary of State good-naturedly. "Evidently, protocol forgot to tell you." "No, no, they did, they did. ", said the troubled First Lady. 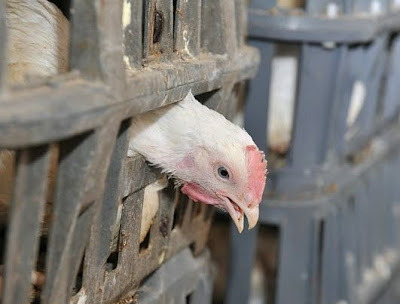 "But they told me it was only meat they weren't allowed to eat, but fowl they may. How stupid of me. Forgive me, please." She was genuinely upset. "There is nothing to forgive," said Yaakov Herzog tactfully, and in hushed tones explained to her the rudiments of the kosher dietary laws. "But I see your prime minister has no problem eating the bird," said Lady Bird, her chin pointing in the direction of her guest of honor. Dr. Herzog assumed an innocent expression, and said artlessly, "May I share with you a confidence, Mrs. Johnson?" "The prime minister has one secret vice. He cannot resist fine gourmet. So you may take his lapse as a great compliment to your chef." "Oh, I shall, I shall," said a charmed Mrs. Johnson, and off she went to greet her other guests. And thus ended my first tutorial as a novice diplomat on the niceties of kosher savoir faire in high places. From time to time an uncharitable thought or memory may arise in my mind regarding the actions of a fellow Jew. If I cannot push it out my head immediately, I ask myself, "When did this event occur? Did it just happen, or did occur before Yom Kippur?" If it occurred before Yom Kippur, I remind myself to assume that this was an action the person did teshuva for. If I truly believe that Yom Kippur wipes away my aveiros, I must believe that it wiped away this person's aveiros as well. ויאמר ד׳ אל אברם לך לך מארצך וממולדתך ומבית אביך אל הארץ אשר אראך – “And Hashem said to Avram: Go for yourself from your land and from your birthplace and from your father’s house, to the land that I will show you”. One may think that if their father was a great tzadik, they were raised in a neighborhood of great tzadikim or they lived currently around tzadikim, then they would be much better people. Or the other way around, someone who has all the above may think that he doesn’t need to do much and may become complacent. Therefore the posuk teaches us לך לך- go to “yourself” because Hashem gives every individual the tools they need to reach their full potential. Reb Nosson of Breslov explains that going to "yourself" means to go to your neshama, which is all spiritual. The Ramchal in the first perek of Mesilas Yeshorim quotes from Koheles Rabbah that the neshama is completely spiritual and therefore can never be satisfied by material things. So, even if a Yid was raised in a completely not frum environment, he still has a lofty neshama and can reach the greatest heights. The brocha of she'osa li kol tzorki that we say every morning can also mean that Hashem gave us all that is necessary for us to reach our potential. 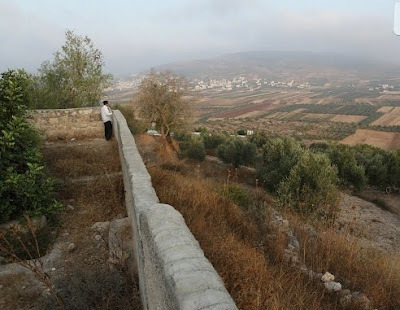 The posuk continues: מארצך – “From your land”. This teaches us to stop thinking that if we would live in a particular neighborhood we would be able to be much better people. Conversely, if one lives in a very “frum” area, it teaches to go away from an attitude of thinking that living there is enough. וממולדתך – “From your birthplace”. This is telling us that we shouldn't think that had we been raised in a different neighborhood we would be better. 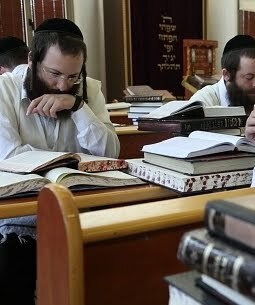 Conversely, if we were raised among tzadikim we shouldn't think that we are better because of that. ומבית אביך – “From your father’s house”. This teaches that we shouldn't think that if our father would have been great tzadik then we would be better people. 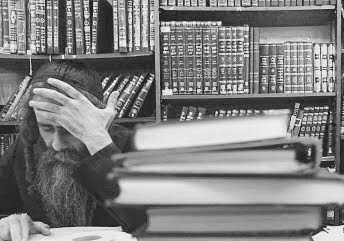 If our father is a great tzadik, we shouldn't think that we can just rely on our yichus. אל הארץ אשר אראך – “To the land that I will show you”. Hashem will guide us where to go. We can't change what happened in the past, but we can put in effort to improve the future. The main thing is for everyone to know that they can reach their greatest potential no matter where we come from and no matter where we live. "The soul rejoices with its companion"
A royal prince was abducted and taken into captivity to a distant land, where he suffered greatly living among crude peasants. One day, a message from his father the king reached the prince in his place of confinement. He wanted to jump for joy, but he was afraid to show his hapiness to the coarse peasants around him. The prince came up with an idea. He treated everyone to wine and whiskey, and before long all the peasants were dancing, singing, and cavorting. This gave him the opportunity to dance for his own personal reason. The peasants danced for drunkenness, while he danced because of the message from his father. On Shabbos the soul receives a message from Above - the neshoma yeseira. The soul wants to rejoice, but it is inhibited by the body which does not understand spiritual joy. Therefore the Torah decreed on Shabbos and Yom Tov the body should be treated to food and drink. The body can revel in physical pleasure, while the soul rejoices with its companion, the neshoma yeseira that came down from Heaven. Although the words, “I’m sorry” in this context are not said to apologize for the way that Hashem runs the world, perhaps they can be misinterpreted as such. What then should one say when he hears this type of news from another person? Should he try to offer words of consolation, should he ask how the person is holding up, or should he just be silent? I don’t think there is an answer to these questions. Death is always something that makes others uncomfortable. 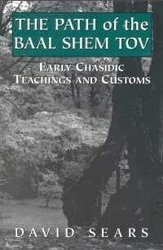 Shortly before Rosh Chodesh Elul last year, I concluded that the the best way to learn Chassidishe seforim was to start on the first page and not feel pressured to complete the section related to the parsha of the week. I removed the bookmark from my Degel Machaneh Ephraim and returned to the first page; slowly, slowly going through each paragraph until the time that it clicked in my mind. As I continue at this snail pace, I have found that sometimes I must review a paragraph numerous times before I am given a glimmer of understanding. Sometimes I remain on a short paragraph for days and only begin to understand it after toiveling in the mikva or reviewing on a Shabbos or yom tov. Taking the cue from this new sefer, I have recently started making a compendium of the citations from Tanach, Midrash, Zohar, etc. that are noted in Degel Machaneh Ephraim. 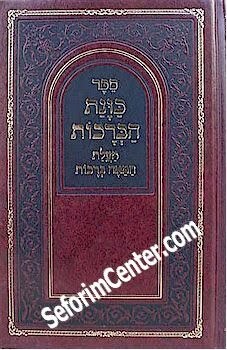 I am hoping that the process of putting together this compendium will increase my understanding and serve as a useful reference for this sefer that I regard as my lifelong companion. The Bus Driver's "Mesiras Nefesh"
"I want to let you know this is the last day I will be the driver for this route. Tomorrow, I will be transferring to a route this is closer to where I live. I am psyched because now that this warm weather is here, I will be able to get out on my motorcycle more often!" "Do you ride on the highway or on a track?," I asked. "On a track. 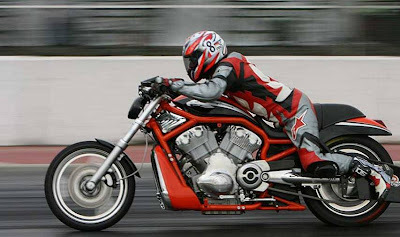 But right now my bike is in the shop and I will have a $4000 bill to pay when it is ready", he replied. "$4000!? Can't you buy a motorcycle for that much", I inquired. "Yes, however, I have a specialized racing bike and I am having something added to it so it can accelerate from 0 to 60 in just seconds", he responded. "I was going about 100 miles per hour and all of a sudden I hit something on the track and went flying over my handlebars. My leather racing suit protected me from skin lacerations, yet I suffered from a number of broken bones all over my body. I picked myself up and went to inspect the condition of my bike. Looking down at the ground, I noticed a trail of red circles. Just then, one of my buddies came over, put his hand on my shoulder and said, 'Hey man, I think you better sit down'. I looked down and realized that my left foot had been completely severed off and that the red circles were made when I was walking with the bloody stump where my left foot had once been. My first thought though was, 'Is my bike ok?'. I had my friend go over and take a look. Inside the wreckage of my bike, my friend discovered my severed foot. He immediately called an ambulance and at the hospital the doctors were able to reattach my foot to my leg with the help of titanium rod. Afterwards, I had to endure weeks of physical therapy. That was the most painful part!" "After all of this you are still riding your motorcycle? ", I asked. "Nothing can keep me away. I just love riding my bike! ", he responded. "You are telling me that you lost a foot and had to have it put back on and your only thought was getting back on your bike? ", I asked once again. "Man, that's nothing, my friend. There is a guy in my racing team who was in a coma for 12 years after an accident and now he is back on his bike racing alongside me!! ", he responded. Do I have an equal amount of determination in my avodas Hashem as this bus driver has for riding his motorcycle? The holy Rebbe Elimelech of Lizhensk, author of the Noam Elimelech, told his students when they asked him who they should accept as Rebbe to go to the Degel, the Baal Shem Tov's grandson, author of the Degel Machaneh Ephraim. 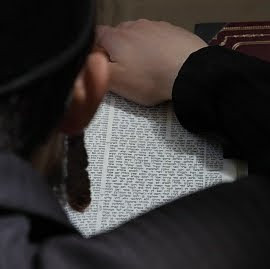 There were tzadikim who had the custom of reciting blessings on smelling spices and hadasim (myrtle leaves) before they made kiddush on Friday night. The source of this custom is in the Talmud (Shabbos 118b), which relates the story of Rabbi Shimon bar Yochai who saw an old man running with two myrtle twigs. 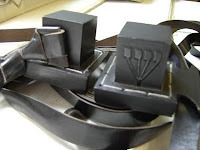 Rabbi Shimon asked him, "What is the purpose of these?" The man replied, "In honor of Shabbos." "Wouldn't one be enough?" The man answered, "One represents zachor and the other represents shamor." (In the first listing of the Ten Commandements, in Yisro, the Torah states, "Remember -zachor - Shabbos to keep it holy," while in the second listing, in Va'eschanan, it states, "Observe - shamor - Shabbos to keep it holy.") The kabbalists regard this minhag as being a very important one, based on Kabbalah (Chemdas HaYamim I:41c). As a father with small children, I have noticed that there is a manner of argumentation which is used by both children and adults alike. Although this line of argumentation is known as “infantile evasion”, it persists into adulthood. Many of us don’t seem to outgrow using it. You may have even heard it this week in the office when a boss asked one of your co-workers to perform some task and was subsequently fought tooth and nail in your co-worker’s attempt to get out of it. When we stop for a second and analyze this, I think most people would agree that it is an invalid argument for both children and adults to use. After all, if we are directed to do something, what does it matter what another person is or isn’t doing? Avraham Avinu was the first person to understand that what another person was or wasn’t doing simply didn’t matter. Of Avraham, it is said, “Avraham was one”. What this means is that Avraham served Hashem as if he was the only person in the world. Avraham knew what needed to be done and did it despite the fact that his generation was full of those who diverged from doing Hashem’s will and those who outright opposed him. Avraham, in essence, provided us with the roadmap of how to approach our Yiddishkeit with simplicity. 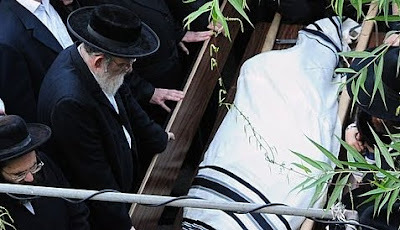 Just as he served Hashem as if he was the only one, so too should we. Too often our personal growth is hindered by the nagging voice in our head that tells us “You don’t have to that! Afterall, he or she isn’t doing it. Don’t you know that we are living in ---- and not in Meah Shearim?” Yet, as we said before, this isn’t a valid argument. It has nothing to do with us and what we have been directed to do. 1) Is there a G-d who created and continues to run the world? 2) Did G-d give the Jewish people the Torah and command me to do this mitzvah? 2) Daven that we be able to do it since our present circumstances prevent us from doing so. If we use any other line of argumentation we are simply skirting the issue. What new practice or mitzva did you take upon yourself during Tishrei? How do you plan to make 5771 any different than the year before? "In my experience people who learn seforim according to the parsha seldom if ever finish them. It is my humble opinion that to understand any sefer you need to have the whole picture if front of you. As the Gemara says "Torah teachings are poor in places and rich in other." This is specially true of the early Chassidishe seforim where the authors keep sending you to earlier or later references." Why am I a "Weekday Vegetarian"? Why am I a "weekday vegetarian" (i.e. a person who only eats meat on Shabbos and Yom Tov)? This is a question that doesn't have a simple answer. If I refrained from eating meat solely for "ethical reasons", then I certainly could not justify eating meat on Shabbos and Yom Tov. I am a weekday vegetarian primarily as an attempt to eat in a more refined manner; as a reminder that eating should be done for the sake of the soul and not just to fulfill the cravings of the body. It is taught that a person is able to elevate and extract the sparks of holiness found within the food he eats by ensuring that is food is kosher and by saying blessings with concentration before and after partaking of the food. The actual process of eating separates the food's spiritual component and nourishes and strengthens the soul. That which cannot be elevated and refined is expelled from the body as waste. 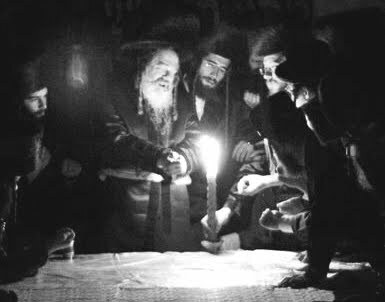 Numerous Kabbalistic and Chassidic works teach that it is exceptionally difficult to properly elevate the holy sparks contained within meat because the true quality of meat is dependent upon the moral character of the shochet and the intentions that he has when slaughtering the animal.. 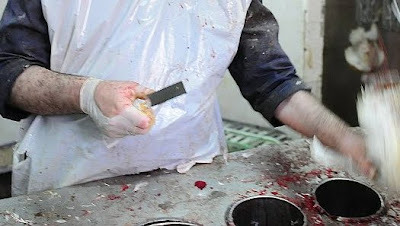 While I can be confident that the pack of boneless chicken breasts that I purchase from the kosher butcher is indeed kosher, I can never know just how pious the shochet was or what was in his heart and mind at the moment he took this chicken's life. This leads me to the question, "Who am I eating this chicken for?" Am I eating it to fulfill the craving of my body for the taste of meat, or am I eating it to strengthen my soul? It is obvious that I can also eat for the sake of my soul by eating vegetables, grains, and fruits. So why must I eat this chicken? I would be dishonest if I did not acknowledge that I chose to eat chicken solely because my body desired the taste of chicken. As a Jew who desires to put the needs of his soul above the needs of the body, I no longer chose to end the life of animal simply to fulfill a bodily craving and thus refrain from eating meat during weekdays. Isn't it hypocritical, however, to sanction the death of animal to fulfill your bodily craving on Shabbos and Yom Tov? Death is death no matter what day of the week it is. I don't dispute this last statement. However, Shabbos and Yom Tov are imbued with a quality that is not existent during regular weekday. The spiritual component of food eaten on Shabbos and Yom Tov does not need to be separated or refined because it is transformed into food that is completely spiritual; food that nourishes the soul alone. On Shabbos and Yom Tov a person is supposed to eat foods that he enjoys eating as a way of celebrating the day. A person's bodily craving for meat is no longer just a bodily craving since the character of the food has been transformed into something that is purely spiritual. His bodily craving is now a spiritual craving. Meat, with all the issues surrounding it, becomes something that a person is permitted (and even required) to partake of because it serves to nourish the soul. Since the intrinsic holiness of Shabbos and Yom Tov spiritually elevates both the act of eating and the food we eat, the act of shechita becomes not just a concession, but an act that brings about eternal benefit to all concerned. And it is for this reason that I permit myself to eat meat on these days. Over Sukkos, I found this piece in Kitzur Likutey Moharan I:9, that illuminates what I wrote about here. "Even though he cannot pray at all because of the deep darkness that surrounds him, he should nevertheless be certain just to speak his words honestly, however low a level this may be. For example, he might say truthfully, "G-d, save me!" And even though he cannot even say that with appropriate enthusiasm and arousal, he should nevertheless force himself to at least say the words sincerely and simply, according to who he is. Then he will merit to see the openings in the darkness." "Do His will as if it were your own will..."
I woke up and left the sukkah at midnight one night during Chol HaMoed after feeling a light rain on my face. Yet, the very next day I ran five miles outside despite the fact that it still hadn't stopped raining. 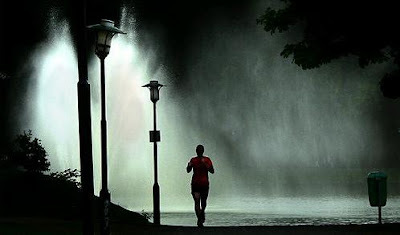 In the midst of my run, I couldn't help but be struck by the thought of how easy it was for me to put aside the discomfort of the rain when I was engaged in something that represented "my" will.